Sonja Kolle-Hutans is knowledgeable, competent and experienced. 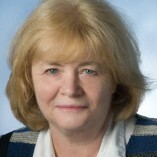 Sonja Kolle-Hutans recognizes, deals with and and informs me of potential problems. Sonja Kolle-Hutans offers a professional service. Mir gefällt besonders der engagierte Einsatz.